Sarah de Rijcke is Professor of Science and Evaluation Studies at the Centre for Science and Technology Studies (CWTS), Leiden University. She works on academic e/valuation processes, changing research cultures, knowledge infrastructures, and roles of research in and for society. 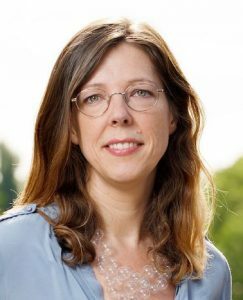 At CWTS, she chairs the Science and Evaluation Studies (SES) research group (www.ses-leidenuniv.com) and also acts as deputy Director. De Rijcke is editorial board member of Science, Technology & Human Values (ST&HV), Science and Technology Studies, and Interdisciplinary Science Reviews. As of 2016, she is a member of the Young Academy of Europe.